If you are adept enough with your roller coaster skills to time your photos to perfectly make the right picture lulz at the right time flying through the ride and make others laugh then you deserve a place on the lolercoaster. 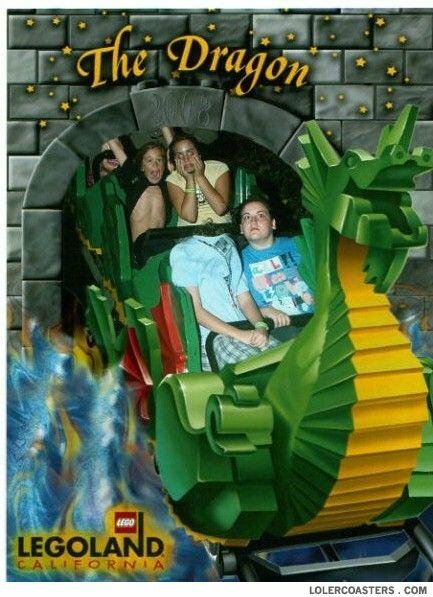 Submit your funny rollercoaster pictures and share the lols. WHERE THE F**K DID MY HEAD GO!?!?!? that f**king drago ate my head!!! Dragon uses fire. It is very effective. He heard the voice of Alanis Mor- I mean God. What is black and red? Something that is black and red. - Is this seat empty? - Yes, and this one will be too if you sit down. ©2008-2019 LOLercoasters. All rights reserved.